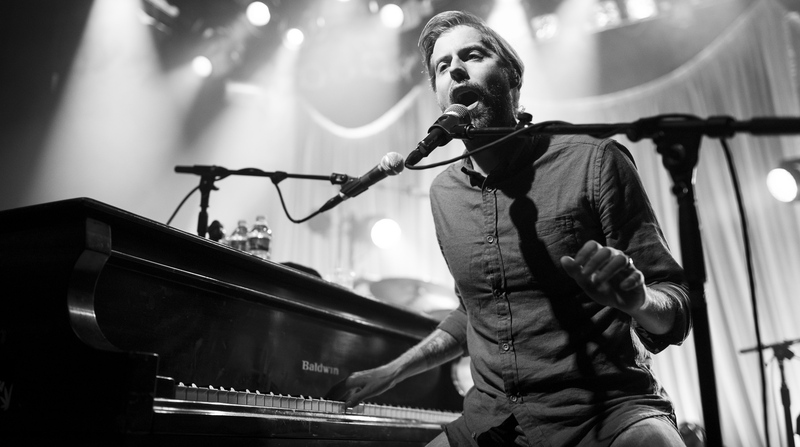 We’ve been giving Andrew McMahon a lot of love this week, all in honor of his brand new album, Zombies on Broadway. On Monday, we published an interview with him and yesterday, we reviewed the new record. Today, we’re attempting the impossible: distilling McMahon’s impressive 15-year career into one ultimate concert setlist. I’d like to think that this is the kind of setlist that might get played if Andrew ever pulled together all of his current and former bandmates—from Something Corporate, Jack’s Mannequin, and Andrew McMahon in the Wilderness—for one insane reunion show. As such, I tried to pull songs from every era of McMahon’s career, spotlighting both fan favorites (“Dark Blue,” “I Woke up in a Car”) and underappreciated deep cuts (“Miss America,” “Amelia Jean”). Whether you’re looking to discover the charms of McMahon’s music for the first time or take a trip down memory lane, I hope this playlist won’t disappoint. To share your ultimate McMahon setlists, hit the quote bubble and head to the forums!